The Red Roof Inn was for sure perfect for us. In the middle of downtown and only 20 minutes to walk from Navy Pier ­ the place where the Inside Bitcoin Conference was held. I really enjoyed the view from the pier near the sea, despite my health problems after the long flight and full throttle air­ conditioning in every building in Chicago. The conference started with some small issues, 25$ for a power cord is definitely way too much, especially, when we paid for the exhibition desk. But creative open­ minded people are always able to find the way how to overcome the small problems and enjoy the event. So few minutes later we talked to the first visitors at our booth. It was an amazing feeling to know that our new fresh platform can be interesting for a lot of experienced investors, successful journalists or enthusiastic crypto fans. Matej did his best also at the startup pitch competition on the second conference day but, unfortunately, we couldn’t compete. Not because of our Platform, the jury liked it, but due to our non­profit orientation. 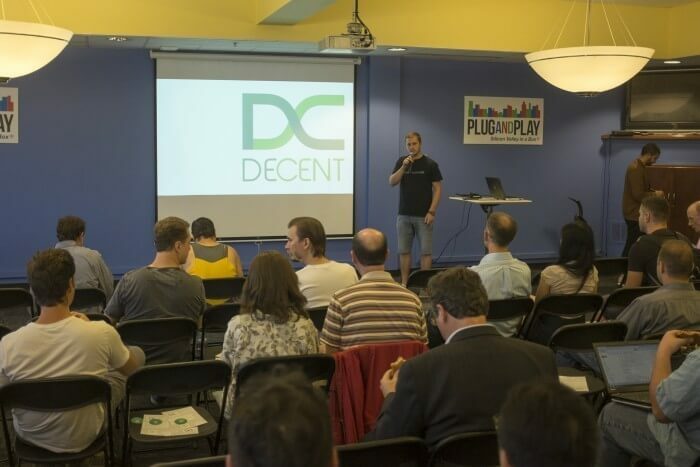 DECENT has not and will never be a money making middleman. DECENT is an opportunity for authors to make money with no loss. And by the way, the people who reacted to our project at our stand surely understood the idea. 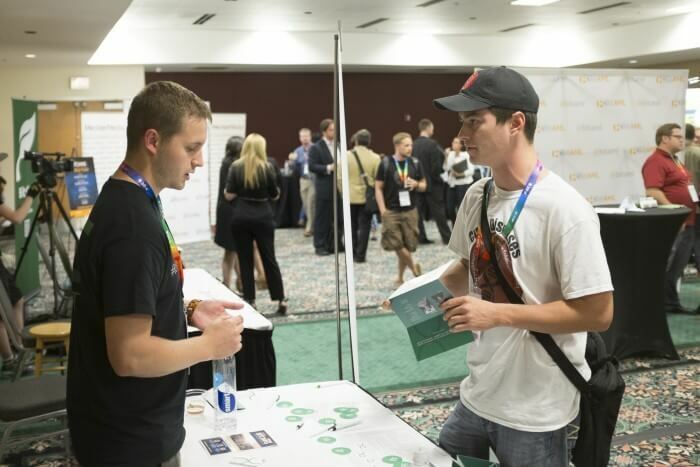 That was our biggest success at the Inside Bitcoins Conference. After four days in Chicago, we were ready for our next stop. Ten days in California, Silicon Valley. The dream of almost every entrepreneur. The Bitcoin meetup in the Plug and Play Tech Center in Sunnyvale – an incubator with successful projects. Matej’s speech, this time not a part of the competition, made the meetup participants curious. He answered a lot of questions – doing so as long as two hours after the event. And we have got one special appreciation. Edward, amazing startup advisors agreed to meet us for a special talk, to help us, give us some hints, tips and tricks. This special talk lasted for four hours and I thought my head would explode with the great amount of new important information. Once again, Ed, thank you for those amazing four hours! Few days later, after sightseeing in San Francisco, visiting Google and Apple (both buildings closed, damn it!) we went to a smaller but very nice meetup in the Get Clef office in Oakland. Get Clef are the guys with the “f*** passwords” slogan and they have a gorgeous product. We also met Connie Gallippi from the Bitgive foundation for the second time at that small event. We also met her in Chicago but there was no time to speak for longer than five minutes. In Oakland we had a plenty of time to speak and I have to say, the idea of Bitgive is marvelous. The small meetups like that are really great for networking and deeper conversation. Our next meetup was not so small. In opposite, it was big. So big as a movie world premiere can be. ‘Life on Bitcoin’ is something between a road movie, a documentary and a reality show. Beccy and Austin, a fresh married couple, are trying to live and travel for three months using only bitcoin. Great movie, I am looking forward to seeing it again somewhere in Europe. This meetup was without Matej’s presentation. This was all about the movie, Q&A’s and small talk with Austin and Beccy. By the way, they both liked DECENT’s concept. Nice to know. And Connie Gallippi was there. Again. 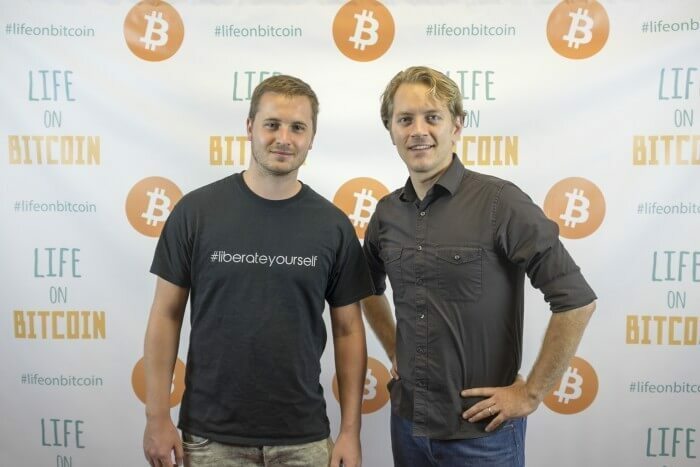 Life on Bitcoin meetup was our last official meetup in California. We had just two days left to see something interesting in California so we chose Yosemite and it was unbelievable. Matej is going to be father in 2 months, so some shopping for cool baby stuff was needed as well. And then, goodbye America, goodbye San Francisco, hello Europe, hello Zurich. It was an amazing trip, for me, for Matej, but most important: it was amazing for DECENT. Positive reactions by experienced people -­ that is what we need for our work.